“to celebrate the release of the new book makeup your mind: express yourself by NARS founder and creative director, françois nars, the cosmetic brand is launching makeupyourmind.com, a virtual global gallery to showcase your personal interpretation of beauty. you’ll be able to re-create a look from the book, upload an image of your makeup creation, and then vote for your favorite entries. you may even win one of thirteen prizes, including a trip to new york city to join NARS backstage during new york fashion week! 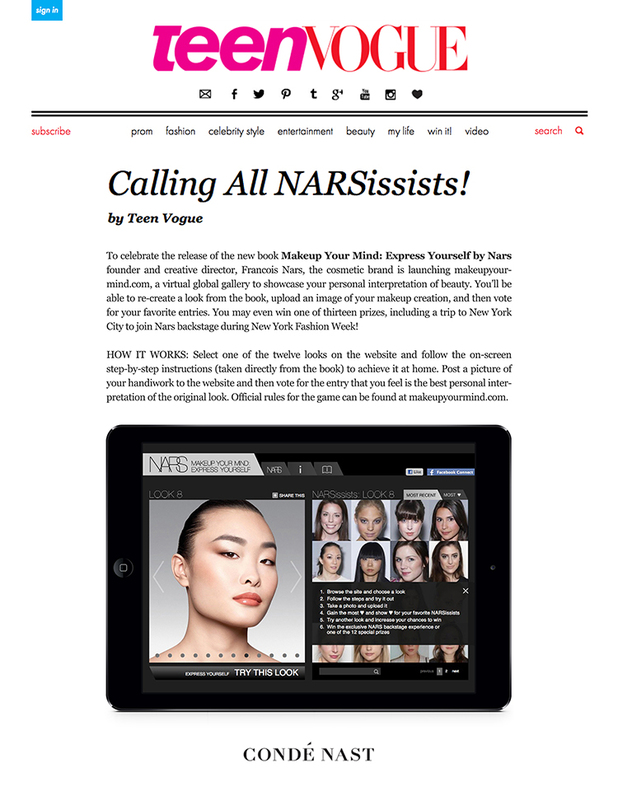 ceft and company’s social media campaign for NARS cosmetics as featured in teen vogue. view all work related to this project.